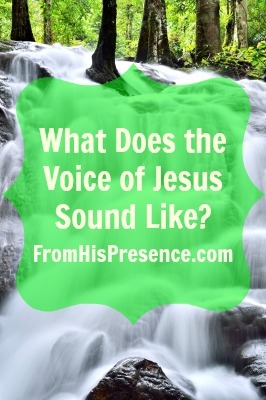 The Bible tells us that the voice of Jesus sounds like the sound of many waters. Have you ever wondered what, exactly, that means? I am sitting beside a tumbling mountain creek in the Great Smoky Mountains National Park as I write this. There are many small rapids and waterfalls around me, and the rushing water hitting against the rocks makes a distinctive sound. I learned from Ray Hughes that this sound of water is similar to the sound you would make if you made a long “shhhhhhhhhhhhhh” sound. It’s almost like the sound of static. It’s interesting, I believe, that the sound of many waters isn’t uniquely made by water. It’s also made by fire. If you have ever sat beside a campfire, you’ll hear a similar sound of static—that “ssssssssssssssssshhhhhhhhhhhhhhhhhhhhhhhh” all over again. So we have identified the same sound coming from the three elements of earthly existence: earth, wind, and fire. It’s the same sound that we hear in Jesus’ voice, according to the prophet Ezekiel and the apostle John. Considering that the entire earth was created by Jesus on purpose, what parallel do we see here? Could it be that the very elements of the earth are echoing the voice of Jesus, from Whom are all things, to Whom are all things, and in Whom all things consist? Could it be that these neutrons, protons, and electrons heard the voice of Jesus thousands of years ago, saying, “Be!”—and that they not only hearkened unto His Word, but kept His word within themselves and continue to manifest the sound of His command these millennia later? Could it be that the voice of Jesus that propelled matter into existence continues to hold such matter together, even in its current state? That will mess with you. Go sit by a creek somewhere and think about it. Then, next time you hear the sound of many waters—that “ssssshhhhhhhhhhhh” sound—why don’t you stop and wonder if you’re hearing the voice of Jesus just as it proceeded from His mouth when the earth and its elements came into existence? “The heavens declare the glory of God, and the firmament shows His handiwork” (Psalm 19:1). Photo courtesy of 9comeback / freedigitalphotos.net. 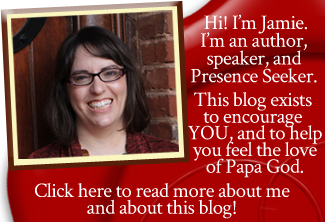 This post is linked up at JuanaMikels.com.